Roman Polanski and screenwriter Robert Towne fought over the ending of Chinatown. 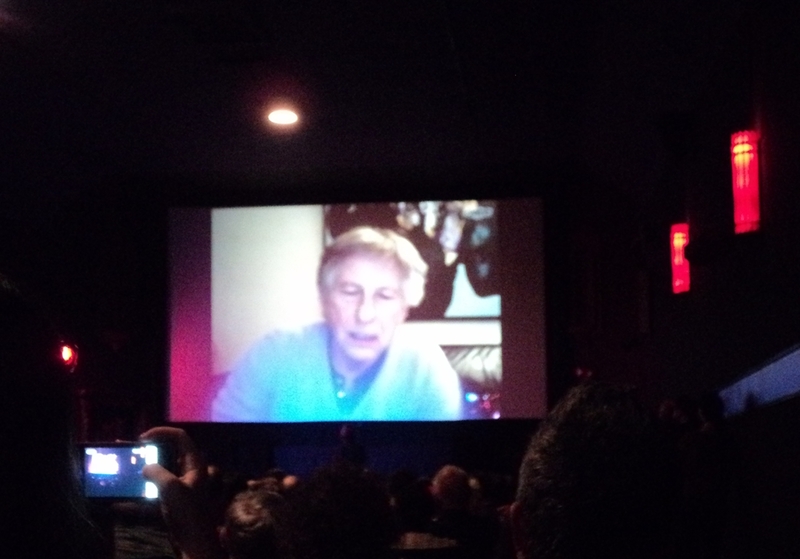 Towne wanted a happy ending, and Polanski—in a Skype conversation with former Universal Pictures head (and producer on several Polanski films, including Frantic and Death and the Maiden) Thom Mount before a packed and ecstatic audience at San Francisco’s Roxie Theater on Saturday, April 6—agrees that that is what audiences typically want. Polanski prevailed with the darker ending he envisioned and a classic was born. The film screened just prior to the Skype call, part of a weekend-long retrospective of the director’ work, and it is one of those movies that retains its power even through repeated viewings (maybe 30 for this writer). This tragic neo-noir about a private eye’s involvement with political scandal and a client’s personal tragedy is as close to perfection as cinema ever gets, the perfect blend of director, screenwriter,producer (then Paramount Pictures head Robert Evans), cast (stars Jack Nicholson, Faye Dunaway and John Huston were never better, and neither was a supporting cast that included Diane Ladd, Burt Young, Perry Lopez, John Hillerman, Bruce Glover, Richard Bakalyan and Joe Mantell), cinematographer (John A. Alonzo), composer (Jerry Goldsmith), production designer (Richard Sylbert), editor (Sam O’Steen) and 1930s Los Angeles setting. 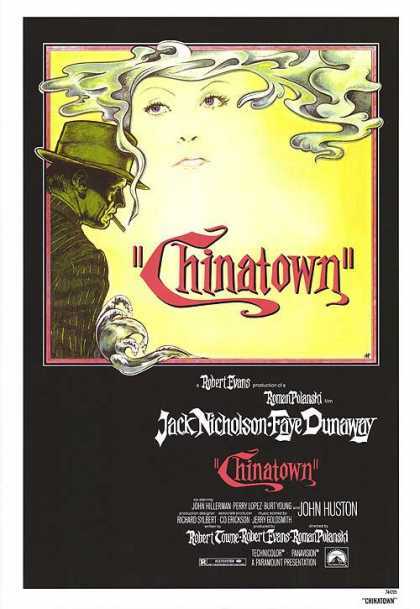 Chinatown began with a group of friends—Polanski, Towne, Nicholson and Evans—who wanted to make a movie together. It was shortly after Polanski’s wife, actress Sharon Tate, and their unborn child became victims to Charles Manson and his followers during their 1969 murder spree. In his grief, Polanski had moved to Rome and really didn’t want to return to Los Angeles. Ideas were proposed and rejected, then Nicholson lured his friend back to California when he called to tell Polanski about Towne’s latest screenplay, one that both he and Evans were high on. It was enough to lure Polanski back to the United States and a meeting with his friends at Nate ‘n Al’s delicatessen in Beverly Hills where it was decided that Towne would rewrite his script. He did, but his new draft was still too lengthy to shoot. “At that point, Bob Evans said we just had to sit together and try to pull a draft together that was tighter and more shootable,” says Polanski. “That’s what happened. I sat with Bob for eight weeks. There was a tremendous heat in L.A., I remember. We worked very hard on the script, which we finally shot. But it wasn’t completed. We had some divergency on a couple of things. One was whether they should go to bed together. The other was the ending. “My point was that we must have at least a scene in Chinatown or it makes no sense to call it Chinatown. I wanted to make the ending in Chinatown.